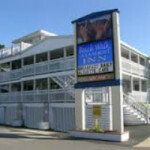 Old Orchard Beach is seven-miles of sand and surf located between Wells and Portland. The Old Orchard Beach Amtrak Station is located within walking distance of the sand and an informative visitors center is located at the station. 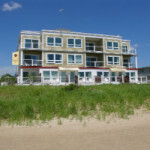 Along with the beach, Old Orchard is a favorite amongst families because of its bustling Pier and recreational activities from amusement rides, water parks, games and more. Saco, Old Orchard’s neighboring town is home to two water fun parks that fall along the Old Orchard Beach Trolley line. 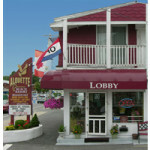 Our accommodation partner, “The Alouette Beach Resort and Suites” is also located directly on the trolley line. Transportation on the trolley is always included with our package. Summer fun like you remember it and you can do it all car-free!